December 1 to December 18. The Last Show will be the final exhibition for this gallery at 69 Smith St as our lease expires Dec 31st 2016. We want this exhibition to be a celebration of the Gallery’s 18 years in Collingwood. The whole gallery will be devoted to the show, consequently we encourage all members, past & present to take part so we can finish on a high note with a block buster exhibition! You can fill in an entry form with details of your work OR you can indicate that you will be taking part and will give details of the artwork later. There is no set theme. Sunday 27 November 6- 8.00 pm OR Mon 11th 8am -11 am. Opening and celebration : Saturday Dec 3rd 4-8pm. 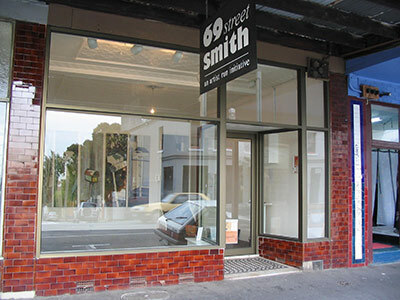 69 Smith Street Gallery is an artist run space. The gallery is run by volunteers and is non-profit. We do not take commission on any works sold. Work must be ready to hang with stable/dry surface. Work must be wired and have D rings attached. The following information must be firmly attached to the back of each work: name, contact number, title, and price. Works must be no larger than 1 meter on any one side unless suitable for the Sculpture Garden. Sunday 18th Dec between 5.00 pm & 6.00 pm.